Ok so you’ve got your Twitter account up and running and you’ve sent a tweet or two, and added a friend. 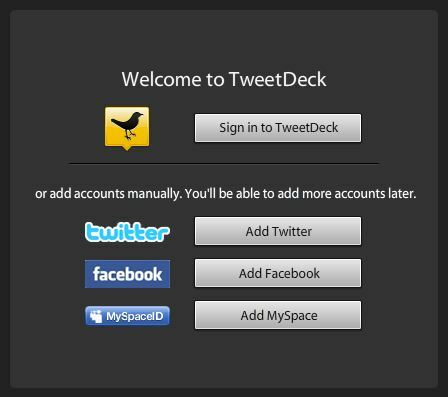 On a long term basis, it is easier to manage Twitter from 3rd party apps like TweetDeck instead. The Twitter interface isn’t nearly as user friendly as TweetDeck’s. There are a few similar products around, try them out and use what works for you. 1. 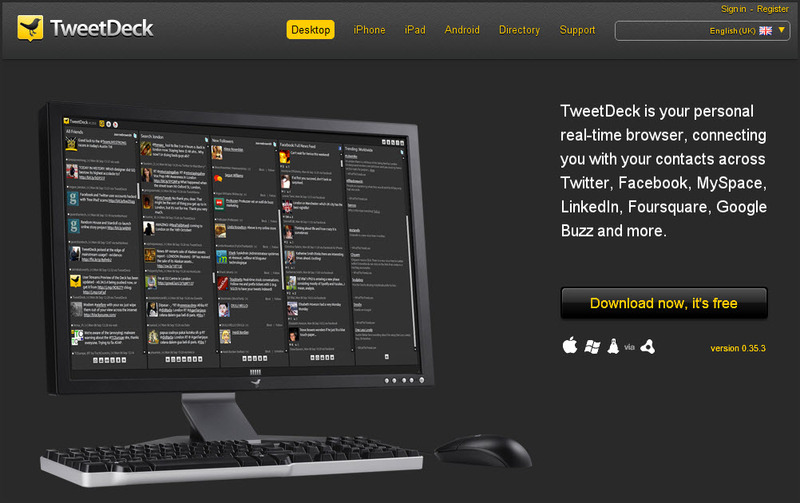 Download TweetDeck. There are options for your desktop and mobile phones. Do desktop first. 2. Let the application install, when prompted, you can either let it run, or save it. If you are planning on changing laptops / desktops sometime soon, maybe save it so you can reinstall it. Otherwise just run it, it’s fine. 3. You are prompted for a user name and password. 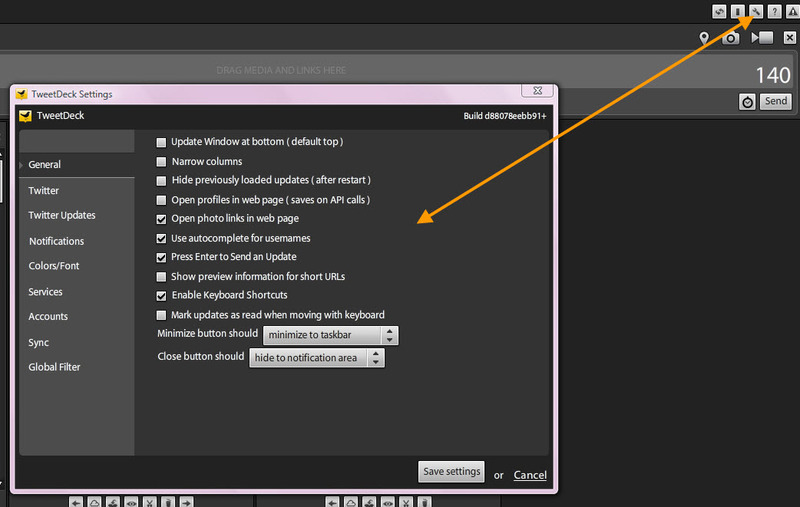 Default columns will display that you can edit or delete or add to as you prefer. 4. 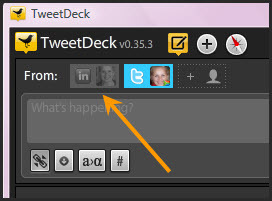 Now you need to link your Twitter account to TweetDeck so the information can pull through. It will automatically prompt you, you need to Allow access. 5. 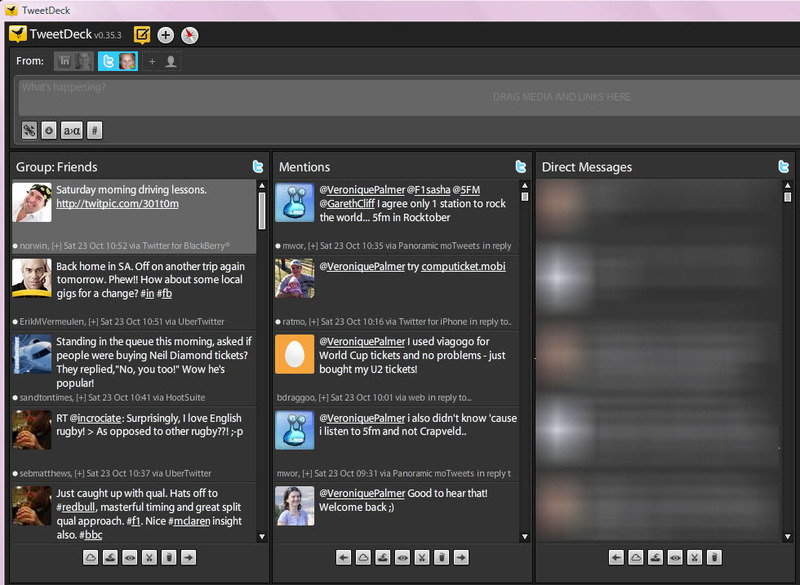 TweetDeck is ready to be populated. What you want to now do, is create columns to monitor tweets. There are a whole lot of controls on top of the screen. We’ll go through some of them. 6. You can change the settings from the wrench icon on the top right. 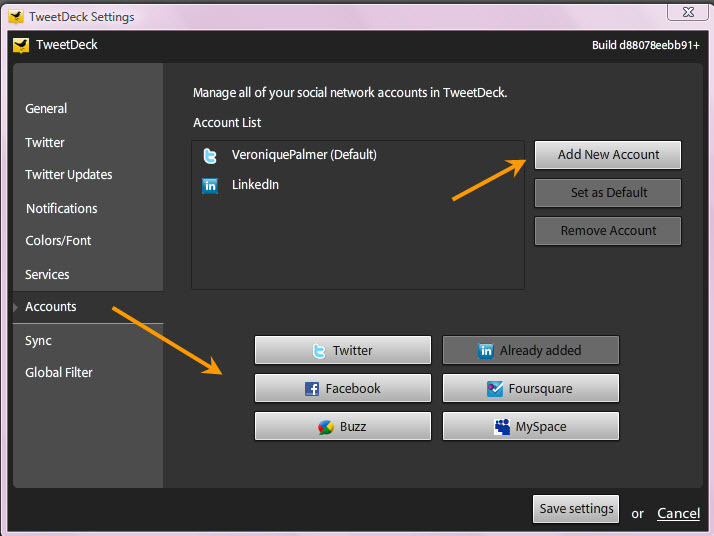 A handy little feature in TweetDeck is the ability to link your account to Facebook, LinkedIn and a bunch of other social media tools. 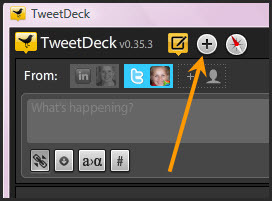 This means that when you do an update in TweetDeck, it can federate to those accounts. That being said – I’d be cautious about doing that. Twitter, LinkedIn and Facebook are used for very different things. Do you really want the same message across all three? Also, when I see the same messages from people across the social platform, there is no motivation to follow them from all three. I’m inclined to unfollow them in 2 because it’s just duplication and wastes my time. Like SharePoint, just because you can do something, doesn’t mean you should. Soon as you’ve added the accounts, you’ll see the icons display on the top left. 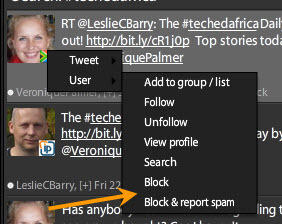 Make sure they are highlighted when you send tweets and the tweets will go to those accounts too. 7. So now we want to add columns to track your tweets. Click the + sign icon on the top left. You have the option to add a search, or create lists, or add default columns. 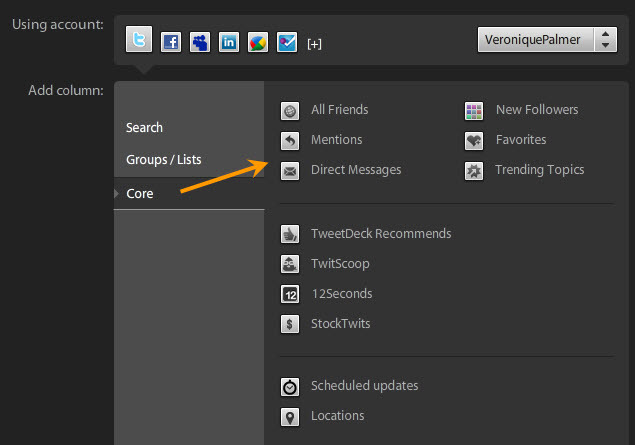 You definitely want to add the Core Mentions and Direct Messages columns. When people mention your name on Twitter, or ask you something, it is polite to respond. Once the columns are added, the lists will populate. 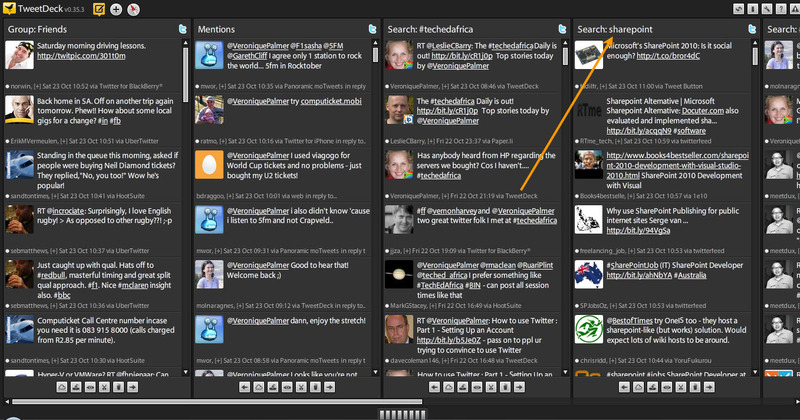 Your columns and Mentions column are tweets that can be seen by the world. 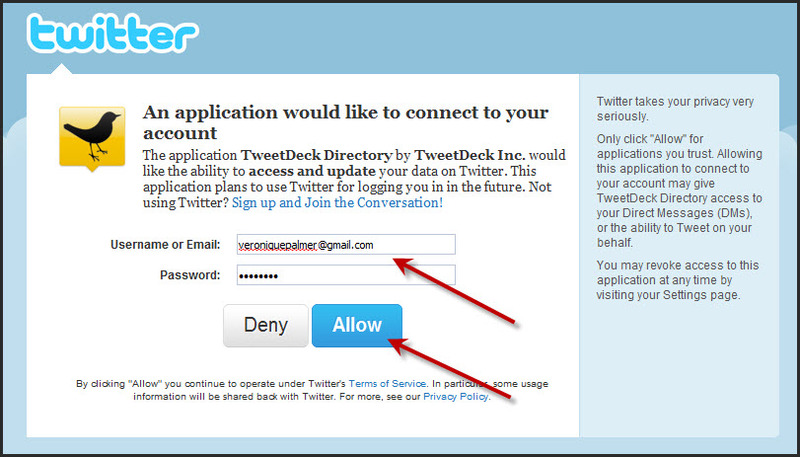 Direct Messages (DM’s) are not, only you and the person you are speaking to can see those. You have to be following each other though before you can DM somebody. To add a search, click the + icon again, and Search. You can either just enter the word you are interested in, like U2, or enter a hashtag. Hashtags were invented by Twitter users to narrow down search results. But long as the word is in it, the search will pick up. For example, SharePoint. If I create a column for SharePoint, any tweet that has #SharePoint, SharePoint, SharePoint 2007 or SharePoint 2010 in it; will display in my column regardless. You can now respond to tweets. 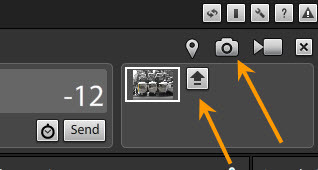 Hover over the avatar (picture) to see tweet options. Note how you can reply to many people at once, or just the person who sent it to you. You can retweet it too. Retweet things you think will add value to your followers. 8. To post your own tweet, click the Compose Update icon on the top left. Type in your message. You can insert hyperlinks to relevants articles. The links will automatically be shortened to save space. To insert media like photos or videos, either drag them into the text block, or click the upload buttons on the top right. Make sure you click the upload arrow first before sending the tweet or the media won’t attach. You’ll get a message to say it has been successfully uploaded, and a shortened URL placed in your text. Make sure your message is shorter than 140 characters or you won’t be able to send it. Feel free to invent abbreviations for words, everyone does. This example has 13 characters too many. Fix it then click Send, and you’re done. 9. To edit / delete a column, click on the name of the column. You’ll get a dropdown option, or the Edit option display next to the Delete button [X], depending on the type of column you’ve added. Add / remove people or change the search parameter and Save. 10. To follow people, or find out more about them, click on their name. If you Follow them, don’t forget to add them to one of your columns too or you won’t see what they’ve tweeted. And that’s that, the very basics of getting a Twitter account and using TweetDeck to manage it all. You get two types of tweeters : Meformers and Informers. MEformers spend a lot of time talking about themselves, what they’re doing all day, and what goes in their mouths. INformers actually disseminate useful information more often than not and contribute to the topic of discussion. You’ll soon pick up who’s who in the zoo, and you get to choose who to follow. It’s nothing personal, if people start following you and then stop. There is a lot of info out there, it needs to be filtered out sometimes. Just remember though that if someone contacts you, respond. When you go to conferences / events, find out if there’s a Twitter tag for it (hashtag), that way you can follow all the news from the attendees of the event. We did this at Best Practices Conference, SharePoint Saturday Baltimore, UK and Cpt, and TechEd. The next one on the list is the Southeast Asia SharePoint Conference on Tuesday. You can follow the news on #SPCSEA. There are bots out there! Be aware. Suddenly your tweets are duplicated by some random dude with no mention of your name, people are writing software to do this, just ignore it, or block and report their butts! Just a note on closing Tweetdeck. The tweets are stored indefinitely in your lists – unless you reboot or shut your PC down. If you do that, you will only see tweets from today onwards. Long as you stay in sleep mode or leave it on, the tweets will be there from as many days back as you like. You can manually mark them as read and delete them if you want to. Part 3 – So What’s the Point? Next How To Use Twitter : Part 3 – So What’s the Point? Yeah, the trick is to follow just one thing in the beginning till you get the hang of it. So only have a column for #SPC11 for example. Then pop in once or twice a day to see if any useful information is being posted. Thanks for the tips. I installed TweetDeck months ago. Personally, I find it too busy to follow. I like your advice “Twitter, LinkedIn and Facebook are used for very different things.” One of the first things I did was to make sure I wouldn’t accidentally connect the three and be sharing inappropriate or unrelated information. Yikes! 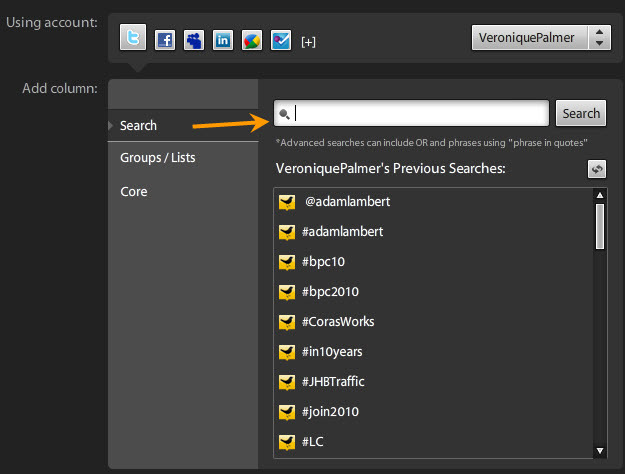 I might also be handy to know that TweetDeck search column queries can contain search operators. For instance you can create a column based on the query “sharepoint OR #sp2010 OR #sp2007”.